With the BBC series currently on TV, I was reminded what a joy My Family and Other Animals by Gerald Durrell was when I first discovered it. 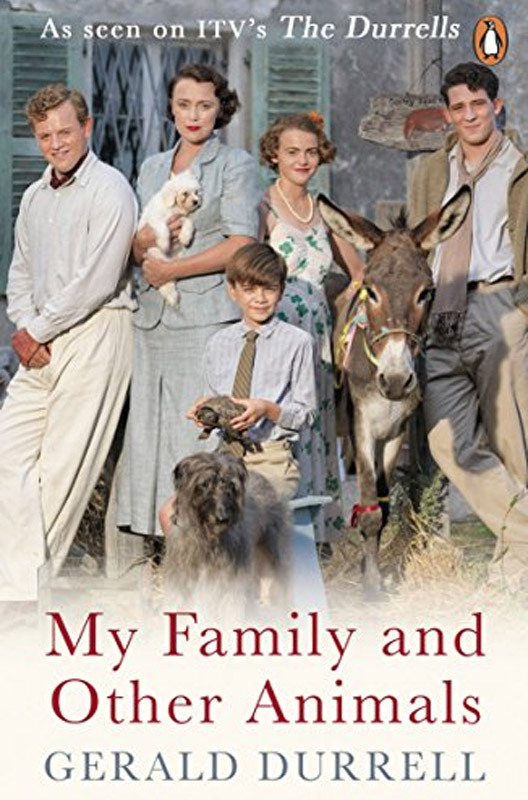 The story of the Durrell family’s stay in Corfu in the 1930’s was a gorgeous bougainvillia-tinted, nostalgic look back to a time of fun and innocence. The characters of the family and the locals are well drawn and in a lot of cases, downright hilarious. Not to mention the beautiful Greek island itself, and the four footed and creepy crawly inhabitants that Gerald loved. The study of nature by the boy grew into a lifelong passion for animals and conservation. He went on to write a series of books that described his journeys to many countries in search of rare animals. Durrell’s tone is gentle and human but also sharply observed- comparable to Alexander McCall Smith’s novels today. The colors, sights and sounds of the island life convert one to an instant Grecophile, and kicked off my own passion for travels in Greece.